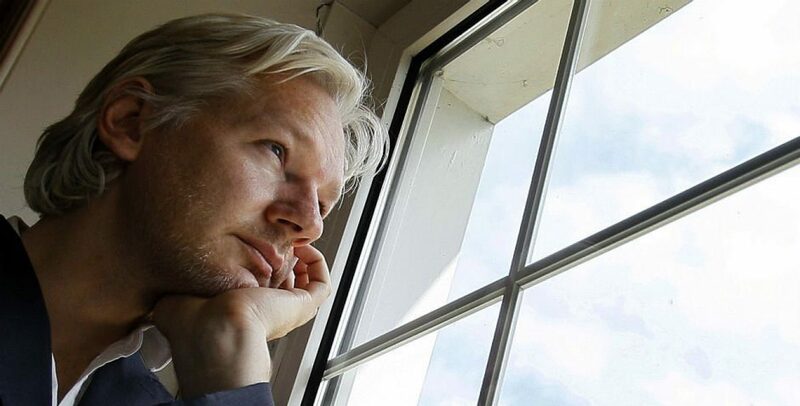 I decided in November of 2018, after a call out for help from @Ciaron O’Reilly on Twitter, to join him in standing watch over Assange in the Ecuadorian embassy in London. Many felt the holiday period would be extremely dangerous for Assange to be taken at night at this time. I posted a gofundme to raise the funds for my trip and arrived at Gatwick Airport on the 12th of December . That was the easy part I found out very quickly. I am a small town girl but I’ve driven through many a city in my life. Being on foot in London was a totally new experience for me however. First I took the train to Victoria station. Finding my bus to Hyde Park took me about 15 minutes. I was alone but I found several people who helped me along my way. I walked to my hostel. By this time I had been awake approximately 36 hours. It was 2 pm London time or 1400. I dropped off my luggage and headed over to Hans Crescent to join the vigil there. (Pic is below) after attending the vigil, I walked over and introduced myself to Ciaron. I stayed that evening so he could sleep in his nearby makeshift tent. I stayed awake approximately 56 hours in total. London is a different kind of cold from what I was used to. The humidity there is extremely high and 45 degrees Fahrenheit there, feels like 20 in Michigan. Add to that the rain that happens nearly every single day and you feel like you are freezing all the time. The buildings are old and drafty and often I slept in long johns at the hostel during the day. It didn’t take long to meet the Catholic Workers who often stopped by to see Ciaron. Sylvi, Jo, Lise, Eric, Patrick and a few others can often be seen there. I miss them all. They were a wonderful group! It didn’t take long for a neighbor to donate a warm blanket and another lady Carolau brought me warm socks and things to keep me getting cold. Nevertheless, the chill of a London winter night often left me chilled to the bone and wet. The nights were often lonely as I watched the police and surveillance vans come and go. ( See pics below). Not that there weren’t certain events that oftentimes either made me smile or shake my head. How can I forget our mentally ill homeless lady. She often attempted to steal signs and go through Ciaron’ s belongings. To talk to her, you realized she was on a mission to clean up London. She wore only shorts and a coat with a sweater underneath, shoes Ciaron found in a dumpster for her and carried bags from Harrods around with a few of her “belongings”. Try as we did to get her to wear pants we brought her, she refused. Closer to Christmas, Julian’s father John made his appearance for a number of days (Pic also seen below) and not only was I honored enough to meet him, I also had coffee with him at the little Italian restaurant around the corner. He was very soft spoken and polite as well as a true gentleman. To me this was the best event while I was there. I was also honored to be a part of the Christmas video done by Bruce King. When Julians father left it was a sad day indeed knowing it left Julian alone again. John had been spending most of the day until around 10:30 at night with his son. While standing watch I had a whistle to alert Ciaron if anything happened. Honestly, it felt safe with hourly Harrod’s staff going by and police constantly being near. Often times, groups of people would walk by on their way home from a night at a pub. Many would go back in the alley to relieve themselves not realizing there were at least 15 cameras back there. Finding a public toilet in the area was difficult after 11 pm. Quite often, I paced up and down the alley and in front of the Embassy to keep warm as I have bad circulation to my extremities due to my Type 1 diabetes and my feet and hands were always literally burning from the frigid air. By Christmas, the attacks on my character by certain supporters were reaching their peak and I was disgusted and saddened. I chose to go simply because I was able to do what no one wanted to do. Other supporters were unable to stand vigil there but my being single enabled to me. I was terrified they would take him to be honest. Yes I had a plan but will not discuss that. Christmas Day, there were seven of us. The other Ciaron had brought us dinner and we shared it and had great political discussions as we stood watch over Julian together. I spent Christmas night alone as Ciaron slept which had become habit. At some point between Christmas and New Year’s Paolo Barnard joined us. At 12 midnight, we all chanted Happy freed New Year’s to Julian and sang a song. Video is below. There were 11 of us that night and we enjoyed talking to eachother. On January 3rd, my last night there, I joined Paolo at the Guardian in protest to their constant smears of Julian. We stood for about two hours. Most staff either nodded at us or ignored us after reading our signs. It was the end of quite an experience but a fitting one.